I have been alerted to these two photographers by the sound artist, Reid Dudley-Peirson, who, coincidentally is performing in a new piece called ‘Songs of the sublime’ at the Turner Contemporary gallery in the seaside town of Margate this weekend. Reid informed me, after reading an early draft of some of our work, that we should supplement our analysis of seaside photography and the Arcades Project with considerations of the work of Eugene Atget and Martin Parr. This may take some time for us to process, but we offer up a couple of images here. 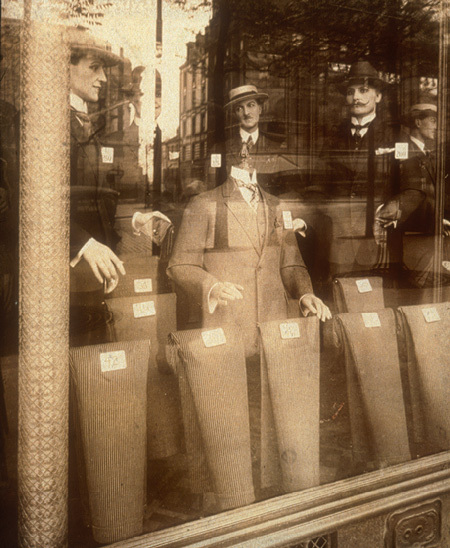 Atget was a contemporary of Walter Benjamin, taking photographs of Paris streets that influenced the surrealists and Dada at the time that Benjamin was working on his study of the Parisian Arcades. 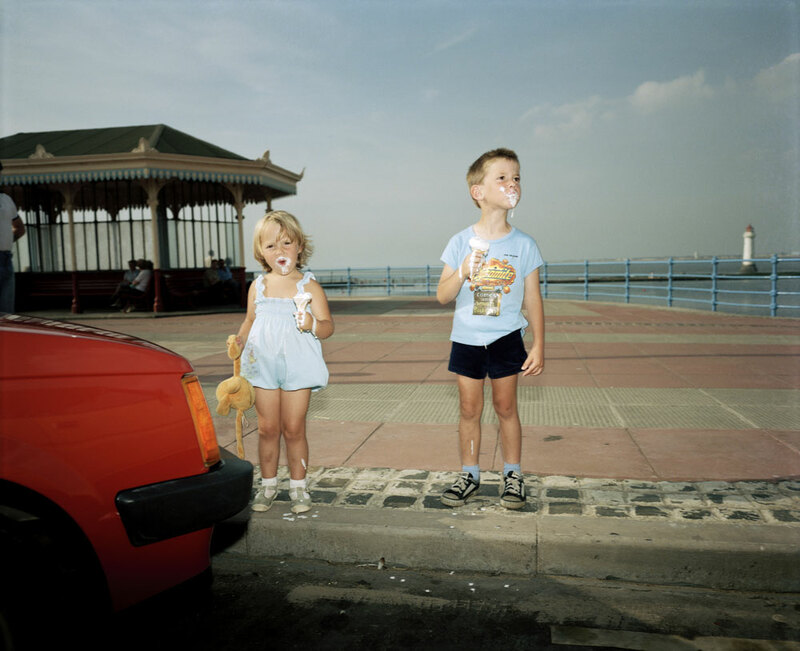 Martin Parr is a British documentary photographer, whose study of the seaside ‘The Last Resort’, clearly sheds light on our work on the links between tourism and the everyday within the capitalist constraints of the promenades. In his ‘little history of photography’, Benjamin makes the case for photography, still in the early stages of its development, to be “moving out of the realm of aesthetic distinctions to social function”. Leslie  locates this movement in the dialectic, claiming that there is always an excess in photography, a residue of the social. In this sense, photography can provide research material, historical evidence that goes far beyond merely that which is represented on the surface of a photographic image. Firstly, as analogical representations of an external reality. Photographs provide a way of capturing natural perception and thus, of making the subjective objective. Finally, photography disrupts the ‘natural’ flow of images and perception and allows for reconfigurations of space and time, new constellations of knowledge. Hashish has dissociative properties as well as hallucinatory ones, and although the preceding quotation emphasises the phantasmagorical, optimistic visions offered by flanerie, Benjamin reports in the first that the flaneur suffers from an inability to settle and finds his own environment suddenly strange on his return. This process of othering and of the breaking of ties is an characteristic of flanerie that is underdeveloped in contemporary appropraitions of the term. Flanerie involves connections being made in a process that can never be fully grasped in its entirity, as the edifice of the Arcades Projects makes clear. A mode of flanerie in reading is demanded by the Arcades Project in which the reader must enter into the concept to understand it. This intoxicated mode is another altered state offered by Benjamin in an attempt to provide a framework for understanding the paradoxes of urban life. Elsewhere it is the language of dreams that gives us the toolkit for understanding the methods that Benjamin is using (convolute N) or the fantastic architectural and cultural forms of modernity (Convolute K). Influenced by the surrealists and in turn influencing the situationsists, Benjamin is attempting to bend the logic of dreams and drugs to confront a world of fantasy and excess. The concept he bequeaths most obviously to later urban thinkers is that of the flaneur. This excess of choice offers no logical path through, no rational decision making process for the consumer. It invites you to soak up is luxury, marvel at its generosity and, ultimately, to open your wallet in a delirium. This a dreamscape designed to extract profit, a Disneyworld bound in velvet. Sharon Zukin (1993) summarises the landscapes created by Disney world as ‘The power of facade / the facade of power’ , noting that the production of a constantly evolving, interactive, fantasy landscape that can meet the physical, emotional and social needs of its visors relies on “the centralization of economic power typical of modern society” (224). Disney create dreams as landscapes, supported by an infrastructure of convenience that means that dream, and the landscape, are unbroken for miles, and for days at a time. This is the personalisation of landscape, the creation of an architectural form that is both expansive and inspiring on the one hand, and personal and inviting on the other. Benjamin folds the internal and external together by emphasising the way in which the streets of the city become the living space of ‘the masses’. This remarkable video uses Worthing promenade as the site of some ludic recursiveness. This shows us another range of uses of the promenade; in the taking up of its representations and its being made the subject of bricolage. This quotation brings together two of Benjamin’s preoccupations at the time of writing, the emancipatory project of Marxism and the politico-cultural aspects of the Surrealist movement with its focus on the imaginary and dream worlds of the modern subject. The method of the Arcades Project is an intervention in these concerns that seeks to produce “lightning flashes” (Benjamin 2002: 456) of knowledge, sufficient to jolt the self-dreaming subject out of their slumber and make present to them the world as it is, rather than as it is represented by the conjoined narratives of historical progress and technological change. This radical, violent interruption of the dreamworld of false conciousness is to be achieved through the construction of dialectical images, which replace the linear narratives of history with a constellation of events frozen momentarily in an image containing histories of the past and present. It is the construction, presentation and consumption of dialectical images that provides the emancipatory potential of Benjamin’s historical method for the present situation. I have used the same quotation here that Wesley brought into play in his last post. In what follows I will re-present some of the entries from Convolute N that provide an insight into my own reading of this idea of the dialectical image and its emancipatory role. These could help us to think through the politics of our own project and draw out similarities and tensions within our work. But, how to access this mystical conciousness? Clearly not be approaching it from within the mysterious, but by engaging with the lived experiences of everyday life, by attending to the details and the debris of existence in the face of the compelling stories of the sweep of history.